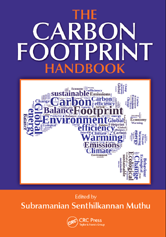 Thorough and detailed, The Carbon Footprint Handbook encompasses all areas of carbon footprint, including the scientific elements, methodological and technological aspects, standards, industrial case studies, and communication of carbon footprint results. 9.2 Urban Soils: A Potential Carbon Stock or Source? 19.3 Why Estimate the Carbon Footprint of Agricultural Products? 19.4 How to Estimate the Carbon Footprint of Agricultural Products?